Good beers and books. 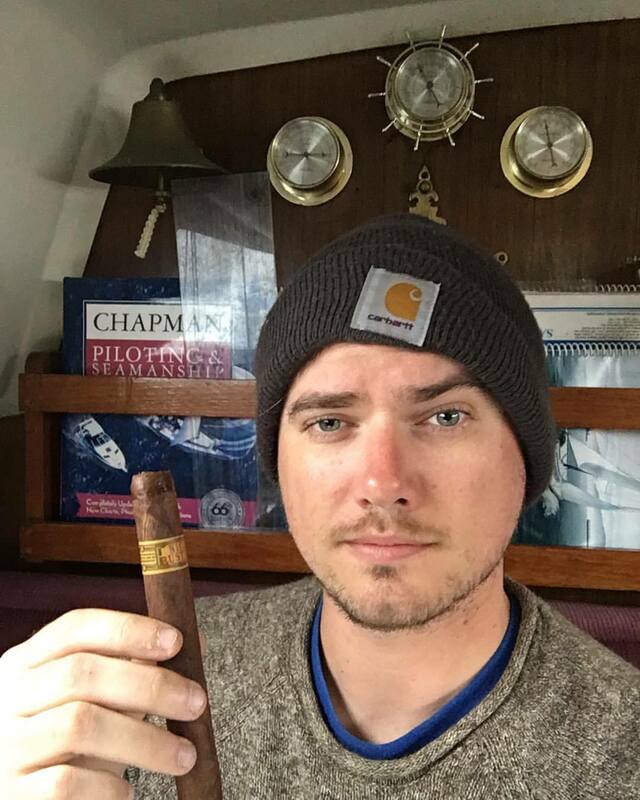 You really have to have both of these things to get through a Northwest Winter on a 28-foot sailboat. Stouts, porters, , nitro English bitters, and books about the KGB are all I craved all winter in the evenings spent winding down in the small cabin lit with old fashioned brass lanterns. There’s really something about roasted barley and the Soviet Union that make the cold and dreary months bearable. Of course, a good classic RPG like Baldur’s Gate II is a welcome addition to 28 feet of the great indoors as well. All of my friends and family thought me to be crazy, moving onto my sailboat and giving up my cliffside rental complete with a sweeping view of Bellingham Bay. The view of the bay was nice, though I considered it quite an upgrade to move into the marina. Seeing the sun come up over the slew of masts and flybridges with the sound of halyards slapping aluminum and wood in the wind was a very gratifying experience. It was living on the most comfortable part of “the fringe”. I really love the above picture. My first sailboat is the Gypsea Rose on the right. My current boat, Sanity is in the middle. I spent the majority of the dry season of 2017 on my motorcycle exploring the East side of the Cascade Crest– Mazama, Twisp, Wintrhop, etc, but when I bought the Gypsea Rose, I knew that when the sun and heat gave way to grey clouds and perpetual fog and rain, the cabin of my boat was the only place I really wanted to be. There’s just something about its small space that’s really inviting. I’m sure you’re already thinking of the challenges of such a small living situation. Good lord. This was the most difficult thing to combat on my boat. The fiberglass hull would constantly sweat as the cabin inside was warm from electric heaters, but frigid from its other side submerged in the water of the Puget Sound in January or so. This led to a bunch of mishaps and uncomfortable nights aboard. One memory I have of this specifically was returning home from a long trip to the East Coast, and wanting nothing more than to get back to my boat and get some good sleep. I returned to the boat to find that my heating units had stop running during the course of my 3.5-week absense. When I came aboard, got in bed, and turned the heaters on, it basically started raining condensation all over me from the ceiling, soaking my bedding and all of the sitting areas aboard. Absolutely miserable. 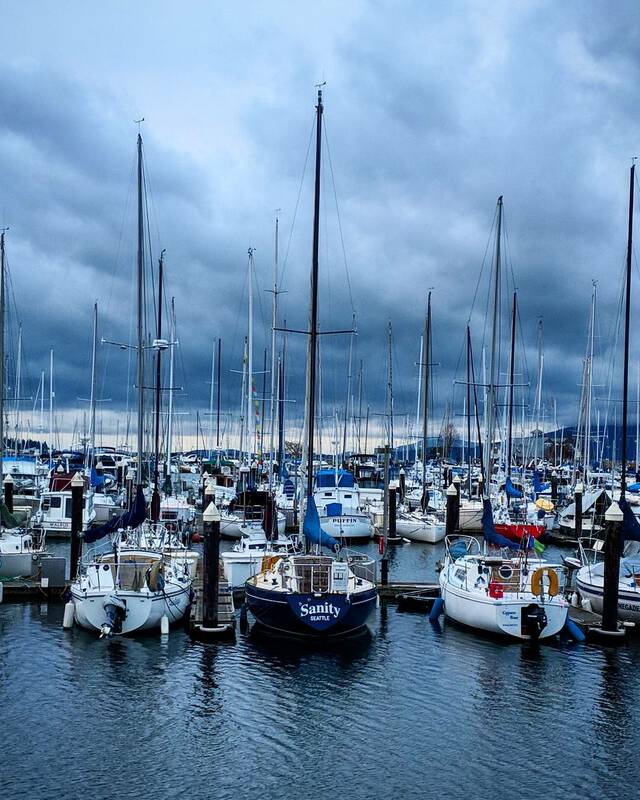 Storms are really nothing to scoff at even living aboard in a marina, let alone at anchor or on a mooring ball. For those unfamiliar with mooring balls, they’re essentially a chain that’s anchored to sea floor that’s held above the water with a buoy. You can simply sail up to one, tie off, and be held somewhat securely all night. There were plenty of evenings of 40+ knot winds in which I had to get up out of bed into 30-ish degree winds to check my lines to see if anything was fraying or coming apart. The most aggravating inconvenience of this situation is the inevitable awakening caused by some line or halyard slapping against some other part of the rigging, causing a maddening, rhythmic noise that could wake up even heavy sleepers. This necessitates getting up out of bed, popping the forehatch or opening up the companionway (door) to get on deck and fix it, only to have to do the same thing again 30-40 min later to check lines. Other people in the marina I’ve kept my boat have largely been a problem. With the good comes the bad, and with this weird but satisfying marina life come the undesirables seeking budget accommodations in cheap sailboats or ones that are simply rotting at the waterline and in no way seaworthy. Theft, illicit activity, etc run rampant in the section of the marina I was in. I had countless pieces of gear go missing or turn up in someone else’s posession. Just recently, my dinghy was stolen and sold to another person in the marina. Luckily that guy was nice enough to give my dinghy back without any sort of contest once I showed him pictures of me using it during the previous season. Sadly, this isn’t uncommon in the world of liveaboards in some places. It just comes with the territory. Waking up to the sun over the Puget Sound was a spectacular way to begin the day. My time aboard during the winter months gave me time to work on projects in the cabin, play old RPGs from my youth, and learn to fix broken things on the boat. I made the most of it, and I hope I get to spend another winter aboard.